Today I’m trying out something new for fun – I’m pulling back the curtains and giving you a behind-the-scenes view of the craziness that is Design Improvised! 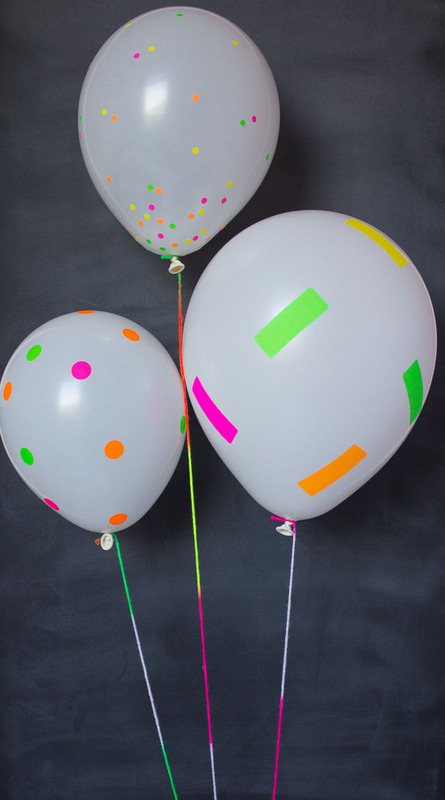 So today I’m sharing the inspiration, trial and error, and messy process that went into a recent DIY – my neon sticker back-to-school balloons! 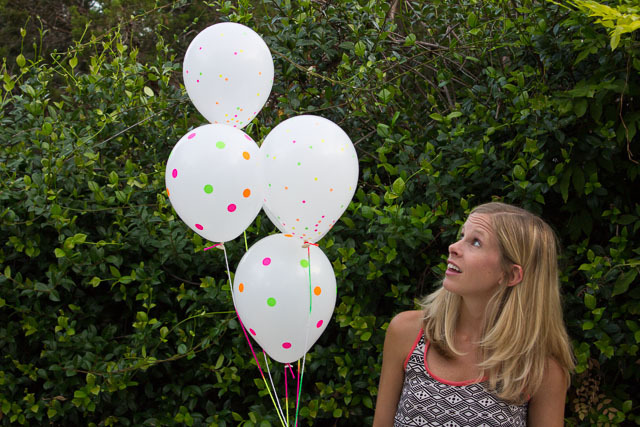 You know I love balloon DIYs so I’m constantly thinking of new things I can slap on a balloon! 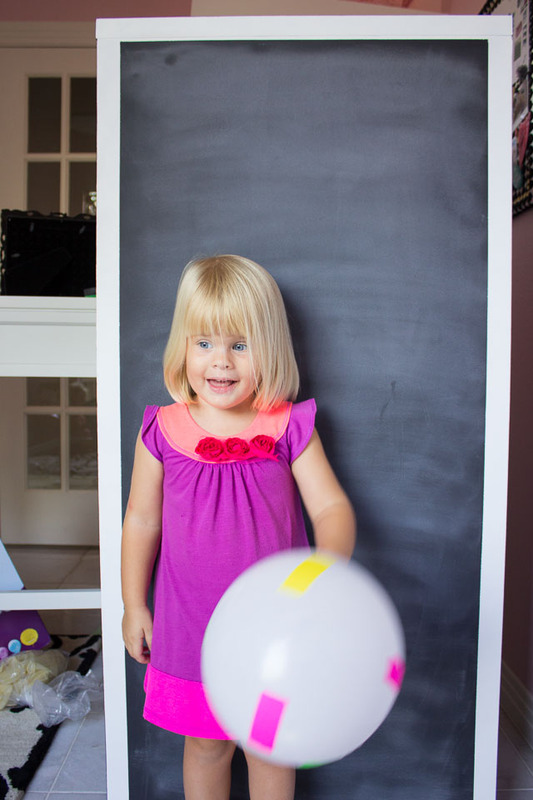 I always keep couple packs of bright office supply labels on hand – they are handy for kids’ crafts, decorating packages, etc. 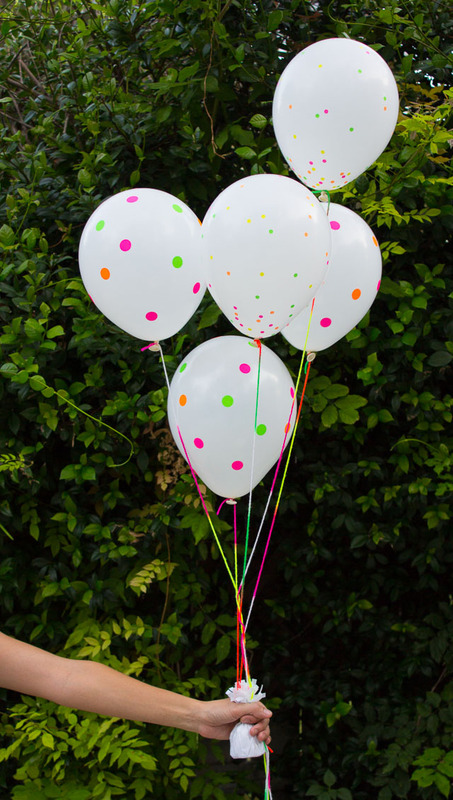 I first tried them out on balloons months ago for a photo shoot for the girls’ outdoor playroom, but it was too windy that day so we had to scrap them. 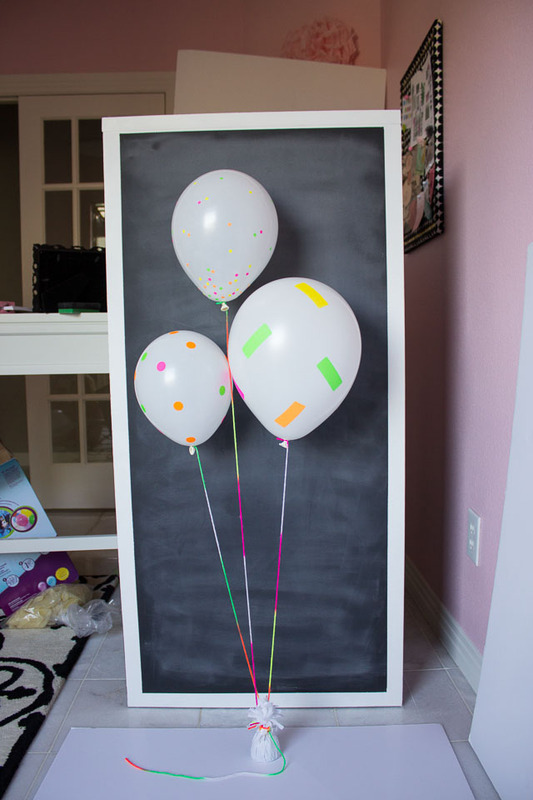 I had initially tried the large rectangle labels (they reminded me of giant sprinkles on the balloon!). Once I saw that they worked well I picked up a couple different sized neon dots at the office supply store. I kept this idea on the back burner for a couple months until I realized they would be perfect for the back-to-school season. 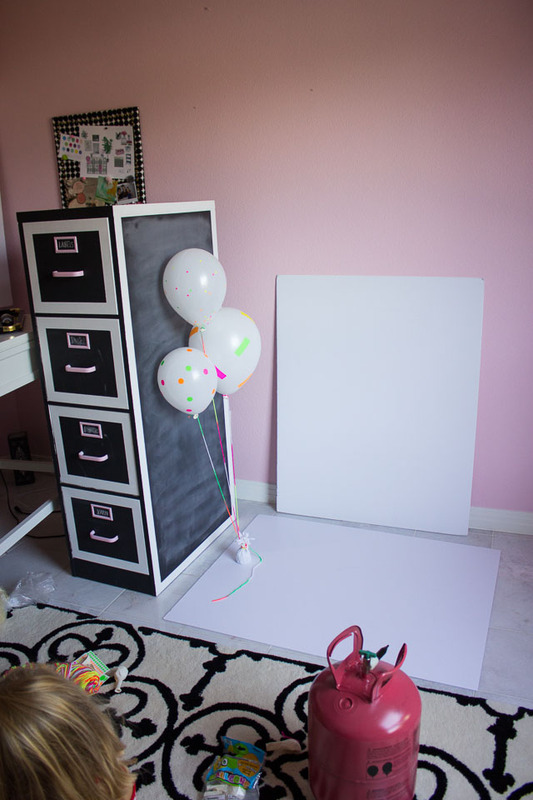 Unfortunately this required tearing apart my whole office in order to pull out the file cabinet to get enough light and have enough room to shoot the photo! 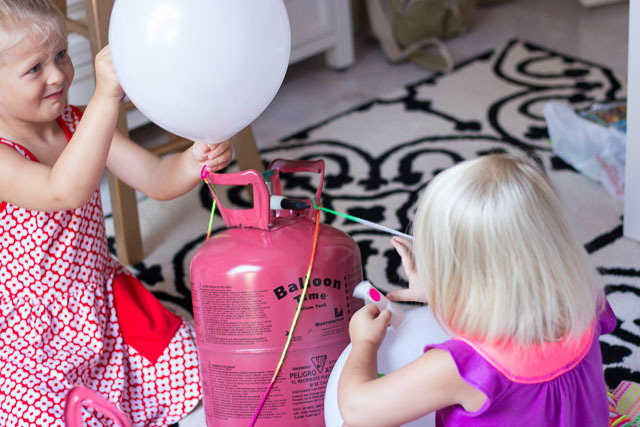 Somewhere along the way the girls found me and wondered what I’d done with my office – then proceeded to want to blow up their own balloons. Having Stella and Hazel be part of the DIY process is pretty much unavoidable, but I wouldn’t have it any other way. 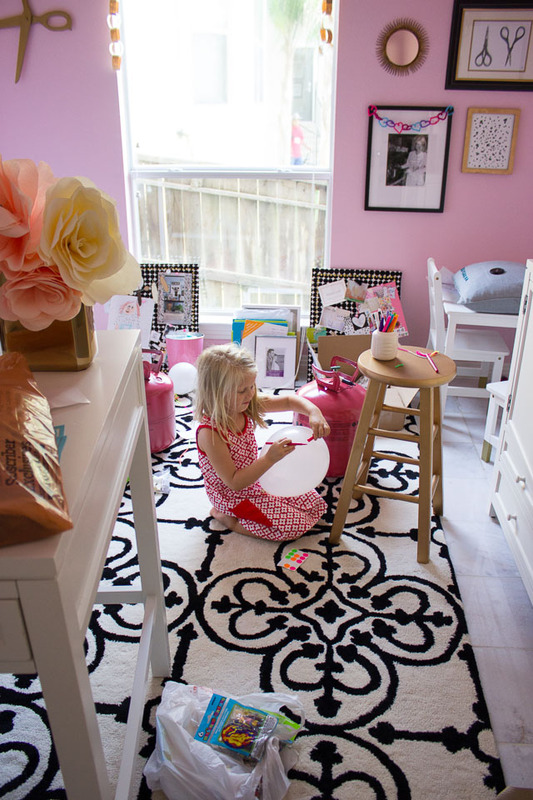 I love that they are becoming little makers, even if it can make the process chaotic! After Ross came home from work, we attempted a few more shots of me holding the balloons outside (as you can see, there is a reason why I have to edit myself out of the photos – I look like the balloons are going to attack me!). A few hundred photos later (I have to take A LOT to get a good one!!) and a couple hours of editing and writing the post and there you have it. Phew! Every project I create goes a little differently than the other – some are quick, others take lots of iterations to get just right. 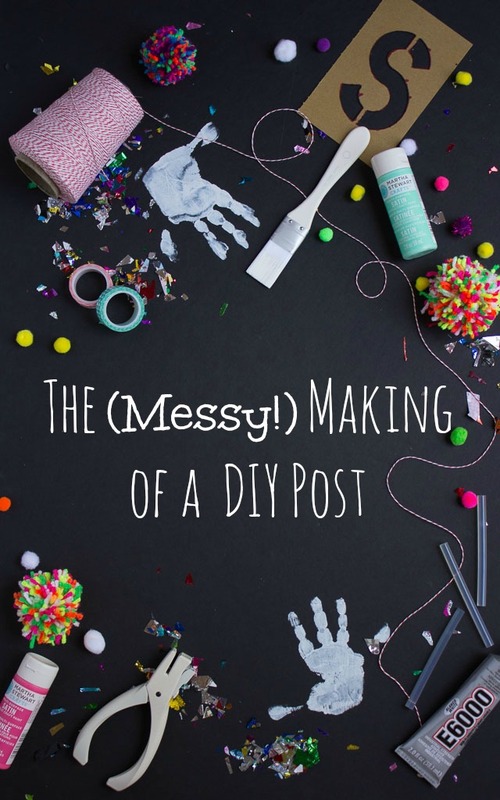 All of them are messy! So what do you think – would you want to see more of these behind-the-scenes posts? What else would you like to know? I’d love to hear from you!